Our bodies hunger for sound. Listening is so important to our self-definition that American Deaf culture has developed the concept LISTEN-EYES to describe the process of receiving and interpreting through sight information that would otherwise be acquired through sound. 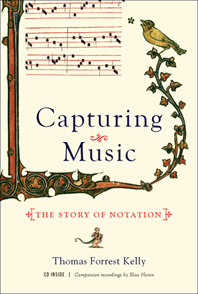 The rhythm of a song and its flow of emotional intensity, for example, can be conveyed both by musicians and by trained interpreters through a wide variety of physical gestures and facial/bodily expressions, allowing Deaf audiences to view and join in the physical manifestation and understanding of music. This kind of listening is a point of cultural pride among those who might be thought of as “unable” to enjoy sound—those, in other words, who have been disabled by mainstream assumptions about what “normal” listening might look (!) like. By examining the way musical performance and listening are conceived in Deaf communities, and considering how American Sign Language is used not just to translate song texts for those who are Deaf or hard of hearing but as a way to convey the expressive qualities of music, scholars are helping those of us who have “normal” hearing (but what is that, really?) think more broadly about the way those who have less sensitive ears also relish the power of music. This ASL rendition of the One Direction song “Kiss You” is not merely a word-for-word translation of the English lyrics. It adds layers of meaning that bring the musical experience into the whole body rather than just the ears. In fact, Deaf people are not the only ones who perceive sound in multiple ways: all of us have the capacity to listen eagerly, enthusiastically, and with our whole bodies—especially when we allow ourselves to experience the multiple effects that music has on our entire organism. Each one of us has moved as if instinctively to a new engaging beat; felt calmer when hearing a tune that brings back childhood comforts; shivered when just that passage from our favorite melody comes into our consciousness. We are all avid listeners. Through avid listening, we can learn more about ourselves and each other. 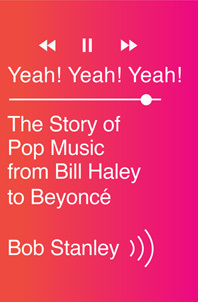 Christopher Small provocatively suggests that “music” is best understood as a verb, rather than a noun. An activity we participate in, not simply a product to be purchased. 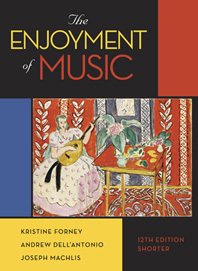 Small even coined the term “musicking” to describe the complex combination of activities that people engage in as they make culture with and through music. Singing karaoke, dancing with your friends, practicing for an upcoming recital: these are all forms of musicking. And when we broaden our understanding of what music can be, its meaning and cultural importance broaden too. We breathe life into music not just through composing and performing it, but also through committed, passionate—avid—listening. Avid listening takes many forms. Each musical performance serves a cultural function, its parameters both designed and evaluated by the community it serves. Likewise, communities have developed ways of listening that reinforce the priorities of that group’s identity and help to shape the performance choices of its musicians, a phenomenon we will explore throughout this blog. Our first posts will address some of these ways of listening, each of which might be especially suited to particular communities and goals, but might also enhance and expand the ways our readers approach their own avid listening practices. In the next few weeks, we will consider Spiritual Listening, Structural Listening, and Distracted Listening. We will explore how music and musicking have historically helped to create new ways of experiencing the world—and how they continue to expand the ways we live our shared humanity. In the process, we will recruit some of today’s finest English-speaking writers on music, whether contemporary or historical, popular or “art.” Reading The Avid Listener will expose you not only to engaging information about a variety of music-related subjects, but also elegant and diverse ways of writing about listening and sound. 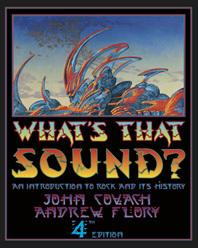 Rather than avoid musical terminology, our authors will explain that terminology in succinct, accessible ways and use it in service of a larger argument. We will encourage our readers to listen broadly and deeply, to approach music with a curious spirit and a sense of adventure. In short: The Avid Listener will show you that music criticism can be both literate and fun, and we hope that your own way of describing and discussing your favorite kinds of music—and your ways of musicking—will be inspired by our examples! Each week, The Avid Listener will feature a short essay that concludes with a discussion question, encouraging readers to respond in the comment section, on their own blog, or in class. 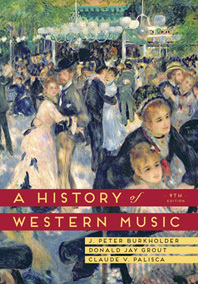 Subject areas will include pop music (in the United States and throughout the world), classical music (both historical and contemporary), Hip-hop, remix and sample culture, musical theater, dance music, music revivals (e.g., new disco and folk), country, gospel, film and video game music, and others. Supplementing these essays will be artist interviews, playlists, industry news, and various media, including music, videos, and art. After you read, we hope that you will comment on our authors’ remarks. We want The Avid Listener to be a forum for discussion about the many wonderful and compelling traditions of sound-making across the globe, and to increase our collective appetite for more avid listening—and musicking of all sorts!